May 23, 2016 Maria Valley	Be the first to comment. Learn why small businesses should absolutely consider Dynamics CRM and what value it can bring to their organizations. May 18, 2016 Maria Valley	Be the first to comment. Today, companies use data from this Internet of Things (IoT) to deliver proactive customer service to maximize uptime and intervene upon signs of anomaly. May 13, 2016 Maria Valley	Be the first to comment. 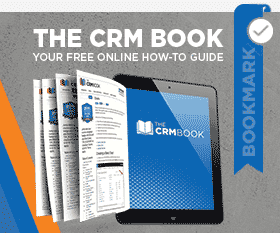 Learn why start-ups need CRM, how you can simplify your CRM solution at the start, and how CRM grows with your organization. May 9, 2016 Maria Valley	Be the first to comment. Office 365 Groups enables teams within an organization or external users the ability to work together on projects, tasks, opportunities, and more. May 6, 2016 Maria Valley	Be the first to comment. See the differences between PowerSuccess and a Time and Materials CRM project, learn which might be a better fit for your organization, and what you could expect in the first few months of your project. April 22, 2016 Maria Valley	Be the first to comment. April 18, 2016 Maria Valley	Be the first to comment. Take your CRM on-the-go with Outlook! In this webinar, we’ll take a look at Dynamics CRM for the Outlook client and what it can do. April 11, 2016 Maria Valley	Be the first to comment. In this webinar, you’ll learn how to better leverage Microsoft Dynamics CRM and Office 365 together with the out-of-the-box integrations that are available. March 29, 2016 Maria Valley	Be the first to comment. Want to engage your clientele through SMS messages in a fun and interactive manner? PowerObjects is pleased to announce the release of our latest PowerPack Add-on, PowerTrivia! March 21, 2016 Maria Valley	Be the first to comment. CRM is key to providing an excellent level of customer service across any channel, by providing the right information to the right agents at the right time. To ensure the implementation of a successful CRM solution, it is critical to understand CRM best practices and how to mitigate deployment risks.